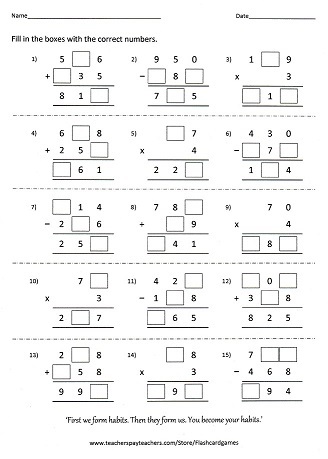 Before learning the meaning of multiplication, your child must have mastered counting and adding numbers. 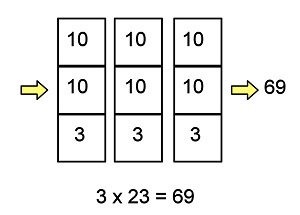 When we think about multiplication, we usually think of the Times Tables. In my opinion, you should not teach your child the Times Tables until he or she understands what it means to multiply two numbers. 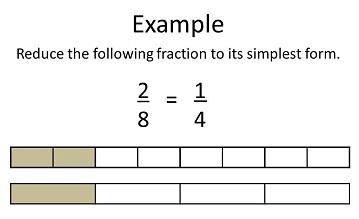 After your child has understood the concept, then the Times Tables are useful as a short cut to carrying out the calculations. 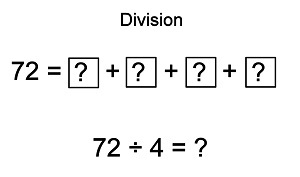 Knowing the concept will allow your child to tackle the complex problem sums found in tests and exams. 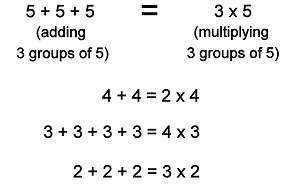 Essentially, to multiply numbers is to add groups of a number. 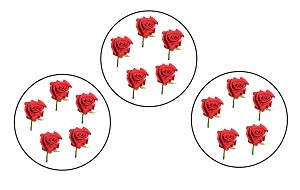 3 groups of 5 has the same answer as 5 groups of 3! 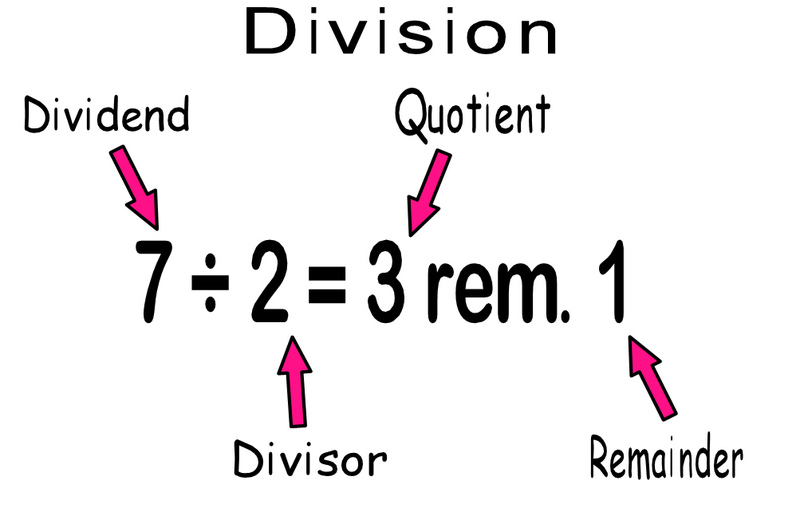 This means that when you multiply 2 numbers, the order of the numbers do not matter, the answer will still be the same. Start by printing and cutting out this set of Dots Cards. 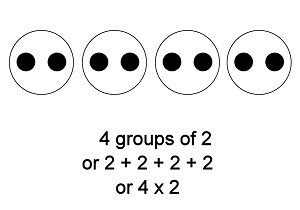 Use them to teach your child to add and multiply based on the groups of dots as shown in the examples below. 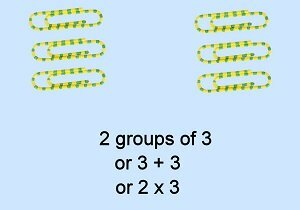 After playing with the cards and your child is beginning to understand the concept of multiplication, give him or her physical objects like erasers, paper clips or stickers to form the groups shown in the card. 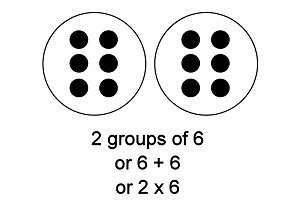 Remember to say it aloud, for example "3 groups of 5" until your child gets used to thinking like that when it comes to multiplying. Once your child has mastered using the cards, have him form his own groups and write the multiplication statement, without looking at the cards. Make it a family activity and test each other. 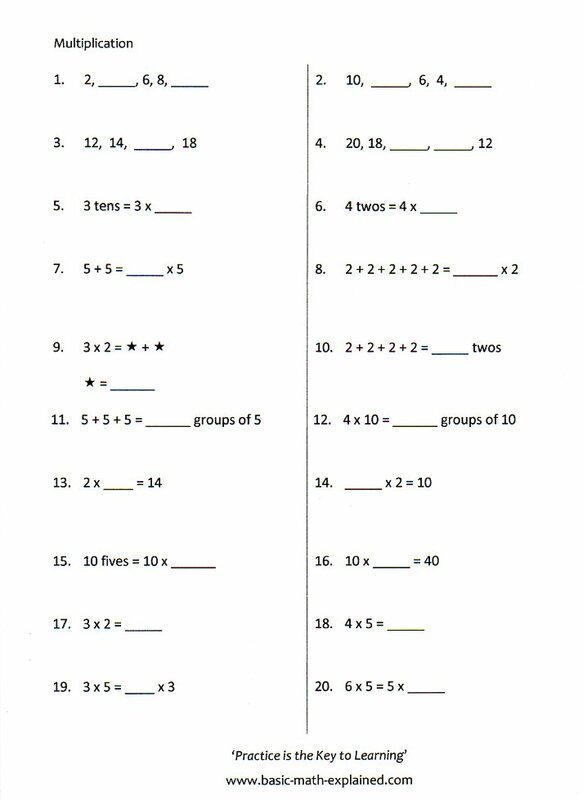 Try these worksheets on multiplication. Once your child has mastered using physical objects, you can progress to drawing models. 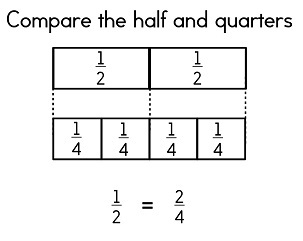 The size of the boxes must be equal for the same number. A bigger number should have a bigger box than a smaller number. 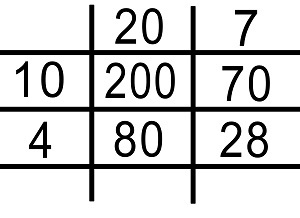 The boxes are usually drawn horizontally in a row. 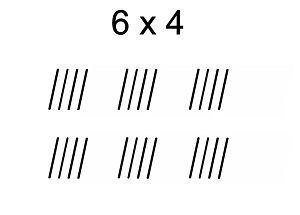 You can also use this method to teach your child to multiply 2-digit numbers with a 1-digit number. 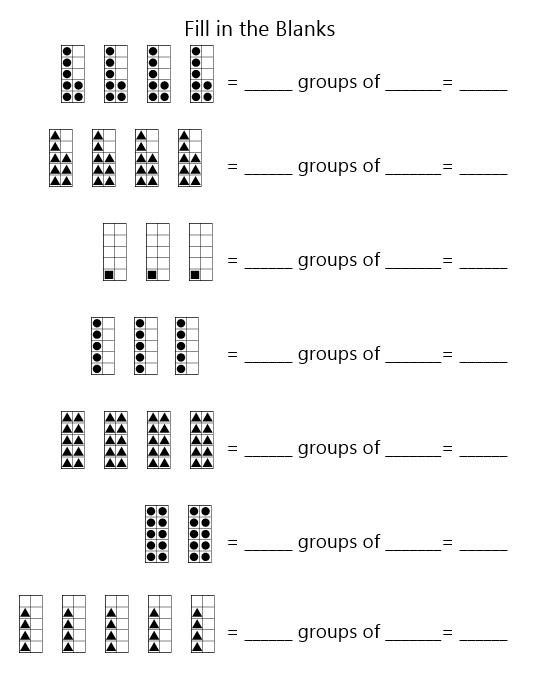 Just think of adding groups of numbers. 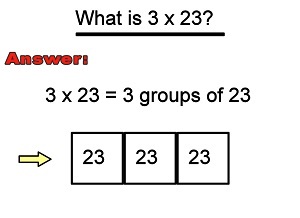 We know that 3 x 23 means 3 groups of 23. We can draw the model. Now we apply the idea of place value. 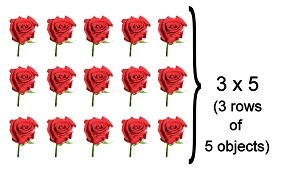 We draw the model and add the numbers as shown below. 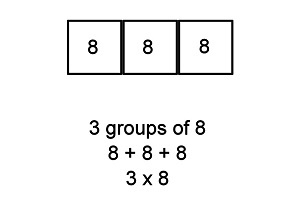 If your child can multiply big numbers by herself, beyond her age level, what a boost to her confidence that will be! 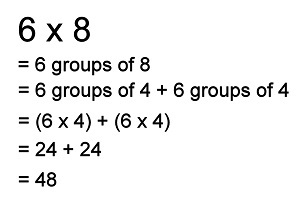 After your child understands the concept of multiplying numbers, ask him to write out the Times Tables in a chart. Click here or on the picture to print out the chart. Let him find the answers using his preferred method from the previous examples. 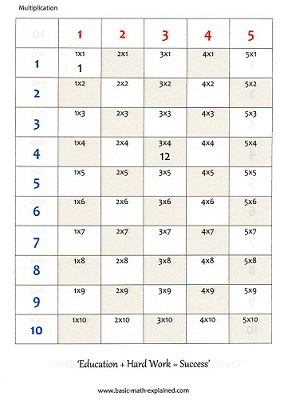 The next step is to memorize the Tables to use as a short cut.